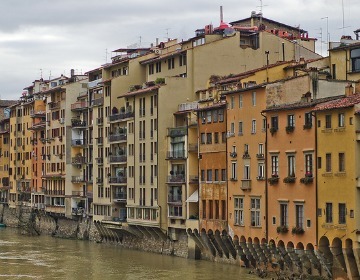 MatadorU student Zak Erving is made aware of his own misconceptions while learning Italian in Florence. It seemed Bebe Radú, to everyone else on the streets, was a shadow. He held his spot, planted in front of the bookstore, with a folding canvas chair and assortment of cardboard “please help” signs written in a prism of various languages. He was homeless, a displaced Romanian who panhandled the streets of Florence, Italy, when there was no work for him anywhere in Eastern Europe. According to him, even begging for change during the Italian summer is more profitable than working a trade in certain non-EU countries. It was 2006, and I was living and studying abroad for the first time at an art school in downtown Florence. I was thrilled that my apartment was centrally located (it was across the piazza from the front doors of il Duomo), and it wasn’t until I learned that some of my classmates were living a thirty-minute walk further removed that I realized how much I had lucked out. My bedroom window was the perfect vantage point for catching early-morning sights: sunrise light on the baptistry and Giotto’s bell tower, leather market vendors hauling their wares, and of course, Bebe Radú, setting up shop. I hated the idea that Bebe’s spot was right on my way to art class. I can’t look a down-and-out stranger in the eyes and not feel my heart torn, and I get taken advantage of if I’m not careful. Three euros were snatched out of my hands by a gypsy on my first day in Florence, and I was not about to let something similar happen. Furthermore, Bebe was notorious for heckling passers-by, and I speculated that it wouldn’t take long for Bebe to notice my frequenting his area. Two months prior to my arrival in Florence, I had picked up studying Italian independently through comprehensive grammar guides and vocabulary lists, and my two years of high school Spanish saw a lot of overlap with modern Italian (which would get me in quite a bit of trouble early on, or whenever I visited Barcelona). The next logical step, in my estimation, was to find a language partner. This proved more of a problem than I would have thought. My course load was full, and I was reluctant to add any more units to my schedule. I could speak with the art professors and staff at the school, but their primary jobs were outside the realm of helping an ill-informed Alaskan with his language difficulties. My roommates, just weeks into Italian studies of their own, rehearsed their vocab lists and dialogue exercises at peculiar hours, often when I was not home. One night, I decided to make an extra serving of dinner. I salvaged all the tupperware I could find between my apartment and my neighbors’ (also students) and put the whole package together, not neglecting to wrap some silverware in a paper towel. On my way out, I grabbed a bottle of Peroni, just for good measure. I was going to introduce myself to Bebe Radú, who was unaware that I had just chosen him as my new language partner. My first conversation with Bebe exhausted all of the basics one learns on the inside cover of any tour booklet: Ciao, come stai? Come te chiami? Quanto anni hai? Dov’ è il bagno? Bebe took a few thoughtful bites and eyed me suspiciously. I remembered being taught not to talk to someone while standing over them, so I sat down next to him on the sidewalk. He seemed to let his guard down, and finally sensed my sincerity. “I don’t need the food. 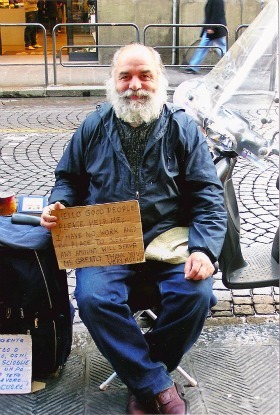 I don’t even need money,” he finally stated. He showed me his billfold full of fifty-euro bills, results from generous western tourists. Bebe continued, “But any time you want to talk, you just come talk. If you feel like it, bring me a beer. 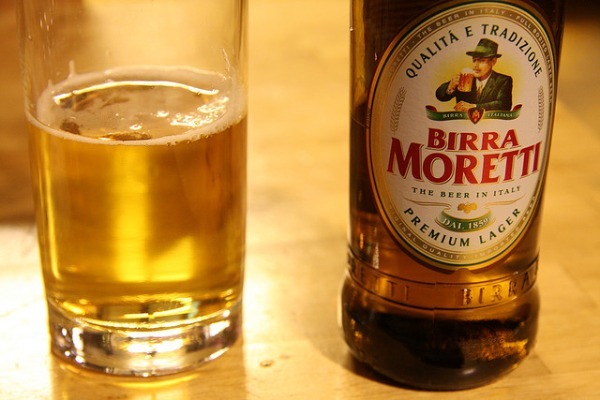 My favorite is Birra Morretti.” Funny, I thought. Bebe’s smug face was reminiscent of the portrait on that very beer’s label. Over the next few months, Bebe and I touched base regularly. I informed him of my travels, where I’d be going, what I had done, who I was with, and what I had been working on in school. He kept me updated on funny tourists, showed me his latest reading material, and openly mocked me when I brought him chocolate from Perugia’s annual EuroChocolate Festival in October: “Bring me beer! Chocolate is for little girls!” he thundered in front of a tour group. I see serious language learners as a brave crowd, and I won’t once pretend to elevate myself to their standard. Learning a new language entails failure, and persevering through embarrassing mistakes is one of the hardest barriers to overcome. Once, I had readied myself for the worst when a tough-looking chef emerged from a café kitchen after I had said some well-wishing words to a sick barista, who I had come to know during my breaks from illustration class. With a nervous stutter, I repeated my consoling words: “I hope you get well soon, Natasha.” Now both of their heads were tilted, and their eyes flashed in concerned alarm. I panicked. What did I say? Were the chef and Natasha romantically involved? Is he going to kill me? I loaded every synonym-bullet for “health” and “hope” and “good” into of my chamber and rifled them off like buckshot. I pointed to my throat, scratching it for emphasis. I stuck my tongue out, and then smiled…the universal pantomime sequence for being sick and getting better. Finally, something clicked. The chef laughed, and his eyes relaxed. “Natasha!” he exclaimed, and hurried his understanding of what I had tried to communicate. Now both of them were laughing and watching the red fill my face. Later, I asked my professor about the exchange. She giggled. “You said, ‘I love you,’ but you said it in such a way that it is how you address a small child.” I had made the mistake of the direct object/syntax relationship: while I wanted Natasha to feel better, I instead communicated that I wanted Natasha. I should have remembered that blunder from high school Spanish. On a rainy day early in December, Bebe Radú ran up to me and explained between breaths that he needed a favor from me. “I need you to make me a sign…in English,” he began. I had made signs for him before—he didn’t speak or write English—but this was a new one: “I want it to read like this: Get your picture taken with the original Santa Clause!” I immediately knew what he was up to. My last memory of Bebe, before I left home for Alaska, was of him dancing to the Macarena on the bookstore sidewalk in a red velvet Santa suit. Christmas seems to have a beautiful way of loosening people up. I stole a glance at his miniature empire of cardboard, with signs written in Italian, English, Spanish, German, Romanian, French, Chinese, and something Slavic…maybe Russian or Polish. There were different styles of handwriting too; Bebe apparently had more than one friend writing signs for him. Maybe he wasn’t as much of a shadow as I’d thought. For more on language learning, check out Matador’s Language Learning Focus Guide. This article is part of the How I Learned a Language narrative series. Click over to read stories about learning Spanish, Thai, Welsh, Chinese, Hindi and other languages.